Green Street Park is a well loved community park, just over a mile from our studio in Beacon. In response to requests from community members and the City, we partnered with Hudson Land Design Engineering to work alongside Beacon Park and Recreation in designing several new features for the park. These new features are tailored to community input and will provide an improved experience for parkgoers of all ages. In 2014, One Nature partnered with Green Teen volunteers and Hudson Todd to transform a vacant lot in Beacon, NY into a temporary pop-up park. All across the world, real estate speculation causes land in dense urban areas to lay vacant, sometimes for decades. This project creates a temporary landscape so that the land can be ecologically and socially productive until such time that development occurs. Vassar research intern Elise Chessman wrote this brief summary of her work mapping ecological function at Safe Harbors Green in Newburgh, NY. One Nature designed and built the park in 2016 and now, one year later, we went back to evaluate how successful (or not!) our work was at regenerating local ecosystem functions. "Green design" is touted on almost every new large landscape construction project, but how often is that actually true? And how is it "measured"? In this 45 minute talk, join Bryan, Anna and Elise as they present their joint assessment of the environmental and community impacts created by Safe Harbors Green, a half-acre publicly accessible park in the heart of downtown Newburgh. 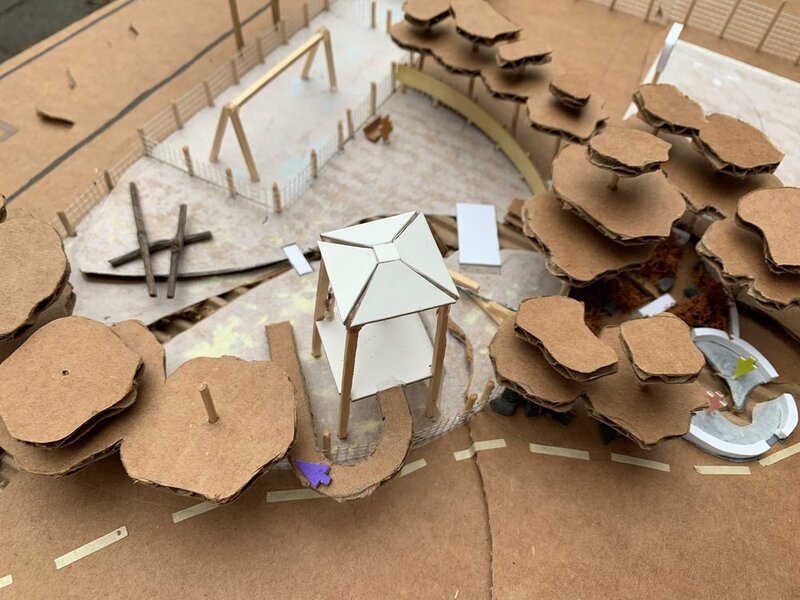 Read about our Vassar research intern Anna Beeman's work to evaluate the macro impacts of Safe Harbors Green, a park One Nature Design/Built in Newburgh, NY. Over the course of several months, Anna performed extensive research and outreach that quantified the environmental social, and ecumenic impact of the park... so far. Our team was proud to work with the Brooklyn Greenway Initiative to convert two stretches of urban landscape, nearly a half mile, into thriving native plant habitats as part of a large-scale community revitalization initiative.